Pro-invest Group has opened its fourth Holiday Inn Express property, this time in Newcastle. Economy hotel brand Holiday Inn Express will open its newest location this week in Newcastle, parent firm InterContinental Hotels Group has announced. Located at 514 King Street, Newcastle, the new 170-room property is located close to the Hunter River, Newcastle Harbour and Honeysuckle and aims to cater for the city’s rapidly growing commercial and dining landscape as new businesses flock to the booming Hunter region. Guest facilities at Holiday Inn Express Newcastle include a fitness centre, two flexible meeting rooms, self-serve laundry and business centre. Rooms will offer guests blackout blinds, pillow menu, unlimited wi-fi and free buffet breakfast or ‘Grab and Go’ options. Sustainability initiatives at the hotel include offering guests staying two nights or more the option of foregoing housekeeping services such as washing towels and sheets if they are comfortable using them again. Additionally, refillable water stations will do away with plastic bottles and single-use straws will not be available. 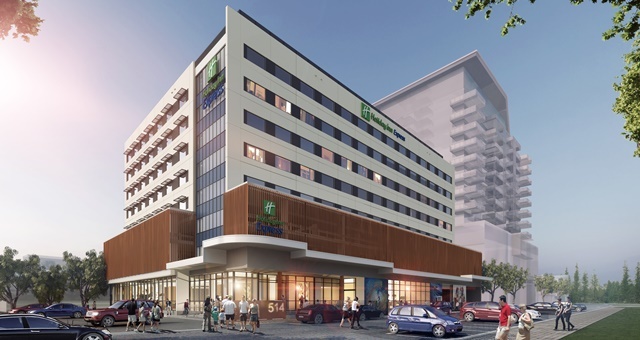 The new hotel is the fourth HI Express owned by Pro-invest Group, which also owns properties in Sydney, Brisbane and Adelaide, with more coming in the next year in cities such as Melbourne, Queenstown and a second at Sydney Airport. “Newcastle is gaining traction as a holiday destination for families and a hub for business, so we’re pleased to be able to contribute to its vibrancy by offering leisure or business travellers with a simple, smart hotel offering,” Pro-invest Group CEO Ronald Barrott said.